Thank you so much to Keith Hillman of Keith’s Ramblings for offering me this award. I appreciate the thoughtfulness. And if you enjoy flash fiction, his blog showcases some excellent examples. 4. Nominate up to 15 bloggers for the award. As Keith himself stated, finding interested bloggers can be tricky when folks tend to have so much going on in their lives. I will try my best. Listed in no particular order, each is a treasure. Thank you again, Keith. And Happy Independence Day to fellow US citizens. Be well. We need a photo posted of those fangs! Oh, thank you for the chuckle. I hope you are well, dear. I wear boat shoes, honestly. :P I don't want to step on something sharp hidden beneath my steps. Since the shoes have netting on the top, I technically do end up with my toes in the sand. ~grin~ Thank you for the kind words! Fangs? Sounds exciting! Congratulations on your award. Thank you so much for the kind word! Your blog is such a delight. Thanks so much, Darla. I'll try to do my best with this! What stinkers! The middle of my three older brothers always tried mischief against me, even going so far as to lock my mother and I inside a cubbyhole for a few minutes. Another time, he pretended to have been knocked out when he fell from a tree. In fact, that brat torments his wife to this day. ~shakes head~ Thank you for sharing your tale. Best wishes! Best wishes on introducing the new family member! That can be both fun and stressful. I look forward to pictures. Darla, fangs so much for taking up the challenge and giving us such an insight into your life! I've been off the radar for the last week or so - I've had a pretty busy few days which has restricted my computing time! I too am without a body clock which is pretty handy as I never suffer jet lag when I'm travelling here there and everywhere! Thanks for the award and the delightful comment. ~grin~ I hope your time away from the computer proved enjoyable. Finding your blog(s) made the A to Z Blog Challenge even more worthwhile than expected. Best wishes! Thank you Darla! What an honor! You are the sweetest. I have visions of you twirling on the dance floor now! I love it. Hugs! The canine teeth had me laughing! 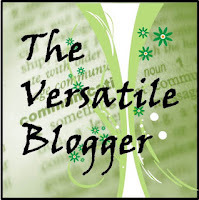 I'm so glad to have discovered your amazing blog through the A to Z Challenge. Thank you for the kind words. You made me smile, for sure. ~hugs~ Take care! Hi Darla. It's taken me forever to finish up the challenge--I'm sorry, but it is done and just check on my blog to read those 7 things about me. How is the kitty diet going? Awesome! No worries, my dear. The diet remains a struggle. She's making cute little "merr" sounds as I type in hopes of getting another feed. ~rolls eyes~ The "meow-tronone" gets old after a while. And she hadn't lost an ounce at her last vet visit. But at least she didn't gain! And thank you for asking. whoops. forgot to say that I nominated you for the 5 day, 5 stories challenge.